Disclosure: This is a sponsored post. We received compensation and courtesy product from Bespoke Post in exchange for our honest review only. All opinions expressed here are our own. By Dean Stephens Last updated Apr 17, 2019 We may get a commission for purchases made via our links. Here's why. Bespoke Post’s quality of products, interesting monthly themes, and flexible subscription options, make their boxes a worthy complement to your monthly masculine lifestyle, and a fantastic gift option. Free shipping only applies to continental United States and Canada. You’ll pay $10.00 if you’re a resident of Hawaii and Alaska. From my uncle Bespoke, of course. Yeah, that’s because I had a secret weapon. Bespoke Post. Limited lineups, ever-changing swagger, and a constant influx of gear that makes it look like you know what you’re doing. No one has to know that you really don’t. Unlike a lot of other boxes where you get what you’re given, Bespoke Post offer themed boxes that you can either run with, or choose to skip for the month in your account settings. Why do I always seem to hear that phrase when I really don’t want to ‘take it’? Luckily with Bespoke Post, I usually do want to take it. All of it. But still, I’m all about the cherry picking. I got a chance to review their Alchemy and Weekender boxes. My thoughts on both are below. But first, a few notes on the company itself. What Happens If I Forget To Opt Out Of A Box? How Do Bespoke Post Gift Cards Work? Bespoke Post Competitors: How Do They Compare? Bespoke Post is a monthly subscription service for men, delivering a constantly changing series of tailored boxes, each with a unique element to enhance your current lifestyle. Based in New York, the brand is run by a group of guys and gals who know a thing or two about curating cool products for the modern man. Are you the kind of guy who resists hitting your local home goods store, but knows you could do with a few more ‘home goods’ type items around your house? Do you know that you’re going to be completely unprepared should you need to mix a drink for an unexpected female visitor? If you answered yes to either of these questions, or if they simply intrigued you, then Bespoke Post could be for you. Each month, Bespoke Post crafts custom boxes with different items, all relating to a select theme. You can claim one box per month for your subscription cost. The catch is that they output more than one new box a month on average. If you’re any way indecisive, good luck and Godspeed. Just try pulling the trigger on which one to get. I couldn’t decide. So I got two. I grabbed the Weekender box for my subscription price, and opted to pick up the Alchemy box as an extra. Sign up via our links to get 15% off your first box. Your discount will be applied automatically. If you click our links and sign up, we earn a commission at no additional cost to you. 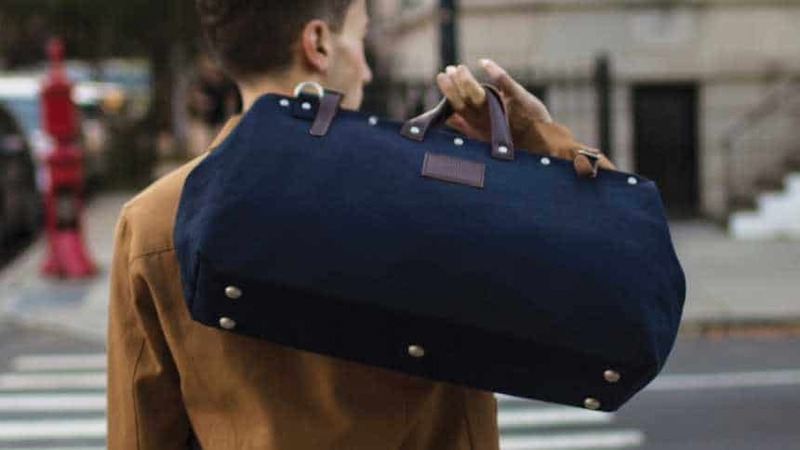 The shining light of the Weekender box is the canvas weekender bag. Featuring leather handles and buckles, cotton webbing shoulder strap clips, and an inner pocket, this thing is really high quality. And I love the rugged yet clean style of it. Also in the box were a deck of playing cards, some hydration vitamins, and a couple of body wipes. While the add-on items were okay, the bag is where the magic is at. I’d happily pay $60-70 for the bag at full retail value. The Alchemy box is a carefully selected mix of barware from Cocktail Kingdom®. 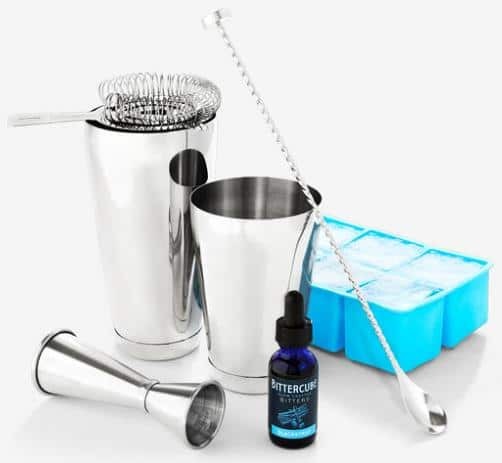 You get a shaker, barspoon, jigger, strainer, bitters, and a large ice cube tray. I went for this box because the cocktail kit I had was a cheapo version and it was getting old. I’ve been meaning to get a new high quality set and this one looked the business. The entire set has a quality feel to it. The bar spoon and jigger are sturdy and hold well in your hand. And the two Boston Shaker tins (featured here on the Wirecutter) fit neatly over each other (this wasn’t the case with my old kit after a year or so of use and cleaning). I had never used a silicone ice cube tray before, but now it’ll be tough to go back. It creates larger cubes to slow melting so your cocktail doesn’t end up watery. The items are consistently of a high quality. It’s clear that a lot of time, care, and research has gone into every product featured in these two boxes. Both boxes offer excellent value for money. 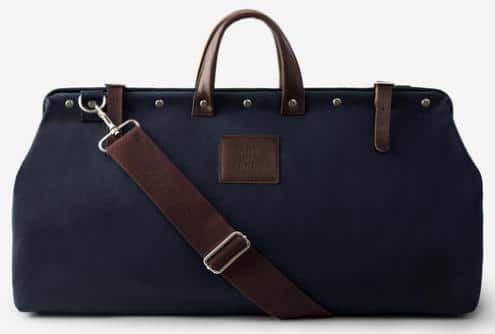 The Weekender bag is fantastic. It feels and looks great and it’s my new go-to for trips away. The Alchemy box is exactly what I expected and it was a solid upgrade on the cheap cocktail kit I had. Both boxes were well packaged. While the quality of the items were good, I don’t personally have much use for the playing cards or hydration vitamins that came in the Weekender bag. Overall, I’m really happy with the two boxes I picked up. Everything arrived tightly packed (I felt like a caveman trying to open the package and opted for a kitchen knife after a minute) and nothing was damaged on arrival. I do have a minor gripe about not finding much use for the playing cards and vitamins that came with my weekender bag, but because I’m such a big fan of the bag, I can easily cast this aside. Bespoke Post make a bold claim that they put quality first. And now that I’ve seen two boxes firsthand, there’s no question about it. And it’s this quality, when combined with the choice and careful curation, that makes you feel like you’re getting exceptional value for money with Bespoke Post. And that’s why I’m being so positive here. Because in my view, giving a customer that feeling should be the number one goal for any subscription box brand. Getting started with Bespoke is quick and easy. They’ll throw ten multiple choice questions at you with three answer choices for each. You’ll then fill out some details about your account, shipping and billing information, and you’re good to go. Each of their pages load quickly on desktop and mobile. They walk you through each step with helpful info along the way. You’ll spend maybe three minutes in total. Bespoke Post is all about choice. As part of your subscription management, the brand offers you multiple boxes to choose from monthly. On the 1st of each month, you’ll be notified via email that the new lineup is ready. You’ll see new boxes as well as some boxes carried over from the previous month. But it’s all pretty refreshing stuff (this also gives you a chance to grab a box that you wanted last month when you opted for another after agonizing on the decision for 11 minutes). You’re given from the 1st until the 5th to decide what you want. If you’re not interested one month, that’s okay. Give it a skip. Access your account settings, and just skip the box for that month. I really, really like this feature. Many other subscriptions would force you to cancel outright in this spot. The brand also has a shop on their site where they feature other items that don’t form part of their subscription boxes. The Bespoke gents keep that online store in the same philosophy of their monthly subscription. Quality. Nothing but quality. It’s all hand-selected items, curated by their team. Take a peek, there’s some cool stuff there. This isn’t Pandora radio. There’s no penalty for skipping every single month if that’s what you really want to do. You want to skip for the whole year? Feel free to do so (I don’t know why you would want to, but to each his own). Join the club. It’s a fast world, we forget things from time to time. Bespoke Post does their best to help remedy the situation. They’ll either halt the box before it ships and issue you an immediate refund, or send out a return label as soon as possible. Hold onto the box, don’t open it, slap the label on, and kick it out the door like that brother-in-law you regret opening your couch to. Hold the phone, compadre. Sometimes it takes a bit. Depending on where they’re curating from, you may have to pump the brakes. Boxes ship between the 6th and 15th of each month. Once sent, they arrive at your door pretty quickly. Spit it out already. You want to pick up a box as a gift but you’re not sure which one he’d want. No worries. Get him a gift card. These work really well because they’ll entitle your main man in question to either any monthly box, or he can apply it to the online Bespoke shop as store credit. Much more thoughtful than cash in an envelope. But a whole lot less stressing over the decision. Win / win. Bespoke Post has been around longer than a lot of the competition, and I think their focus on quality and flexibility is a big reason for that. Where some others focus solely on fashion, BP maintain an assortment. 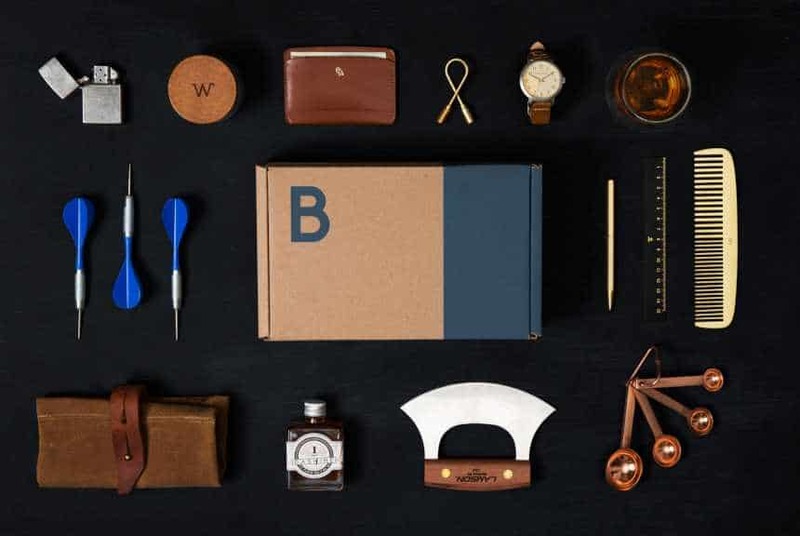 While the below aren’t replicas of Bespoke Post, they’re popular services competing in the men’s subscription box space. SprezzaBox shoots for 5-6 items each month, both in men’s fashion and men’s lifestyle, with a lean toward accessories. 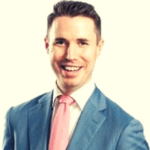 SprezzaBox is about half the price of Bespoke Post, and while you’ll get five to six items in every box, you don’t get anywhere near the same level of quality. Bespoke Post may comparatively put less items in each box, but it’s because they focus on high-end quality over quantity. SprezzaBox is an awesome box, but it’s more suited to guys looking for a great way to pad out their sock, tie, and general accessories collections. I had to put this here as a cautionary tale: don’t waste your time. They try to compete with Bespoke Post, evening offering the same “Skip by the 5th” option. JustFab prices themselves at $40 per month just to compete. But it isn’t enough. Terrible customer service, well over 1,000 horror stories about them online. It was a mockery attempt to make a subscription service, attempting to copy the same fundamentals of Bespoke Post. Avoid at all costs. If you enjoy choice and quality in your subscription services, then Bespoke Post deserves your attention. Yes, every once in a while you may receive an item or two that you can’t find practical use for (no matter how hard you try). And this may make you question your monthly spend on that one particular box. But on the plus side, due to Bespoke Post’s overall quality, choice, and flexibility, this is a rare event. And it becomes even rarer as you get used to the service and a feel for their offerings. This flexibility shines through with their single-month box option as well. If you’re looking for a thoughtful gift that most guys will appreciate, you’ve found it here. Remember, these boxes are more for men’s lifestyle, not necessarily clothing. The items are themed and they’re curated to improve various aspects of your life through home goods and functional items, so if you’re looking for strictly a men’s clothing subscription box, this isn’t what you’re after. I believe that your goal with any subscription service should be either to try new things, to automate your shopping habits, or to simply add value in your life. If you open your mind a little, you really can achieve all three with Bespoke Post. After one month and two boxes, I’ve upgraded my barware, replaced my old weekender bag with a new and improved one, and I’ve had fun doing it. My head says yes. My heart says yes. And while it’s not the case for every decision I make, those are all that matter for this one.